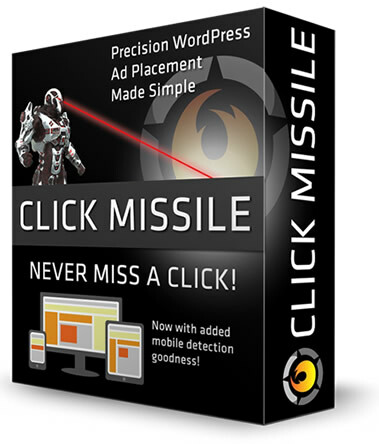 Your go-to Click Missile - WordPress Advertising Plugin. This WordPress Advertising Plugin is a precision ad and script insertion plugin which helps you in optimizing your AdSense revenue in WordPress. 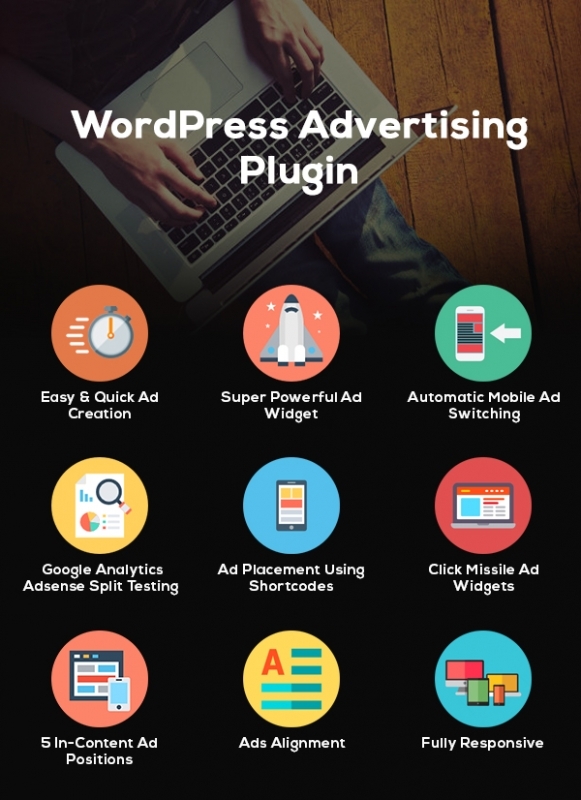 The plugin adds excellent ad placement options to WordPress Advertising. Ad Placement: Comes with a quick and easy way to place specific ads and scripts within the content of posts or specific pages. Ad Widget: Powerful control over where ads and scripts should show in content or sidebars. Target ad widgets for posts in specific categories. 100% Responsive and Option to show Ads in Specific Devices: It detects the device on which the ads is displayed and adjusts the ad accordingly. It has active mobile ad switching functionality. Script Ads: It is not just an advertising plugin but you can any kind of script or HTML snippet into your posts. Optimize Your Ad Space: It helps you to place your AdSense ads at the most suitable position where it will get most clicks i.e. improved CTR. Full Control: It allows you to have complete control over the placement and scripts of the ad that show in the content or widgets/sidebars. This WordPress Advertising Plugin helps you create ads which are as easy as creating WordPress post. Apart from creating ads, it also allows you to add any kind of script or HTML code snippet into your posts. It includes a super ad widget which helps you control on which pages, posts or categories you want your ad to be displayed. Apart from that, there are many customization settings which you can do with it. Desktop ads are not suitable for mobile phones. Hence, this plugin comes with a mobile detection system and shows proper ads by doing ad switching. This advertising WordPress Plugin provides you with shortcodes which you can use to place inside your content where ever you want. The Ad button sits right in the WordPress editor. It helps you directly inject a shortcode in your page or post. Ads alignment - left, right, center, float-left, float-right or none. Google AdSense experiments are a great way to increase CTR. Perform split testing experiment for your ad placement and discover which AdSense layout works best for your WordPress site for individual page and post. 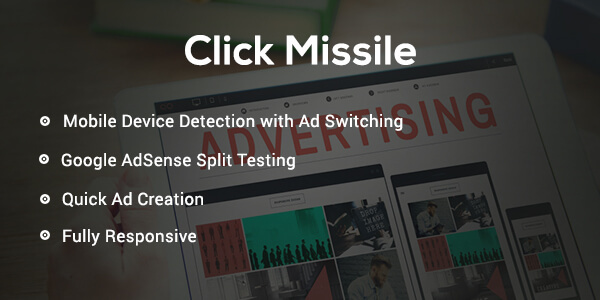 Thus we have integrated experiments in Click Missile so your AdSense ads will be shown as you want. * Fixed conflict issue with Smooth Scroll Up plugin. * Added functionality for the admin to display ads on specific author's posts. - Ads inserted using the CMADS button can now have a split test group name associated with them. * jquery-ui-dialog is seemed to have been removed from core wp. Now enqueued by the plugin along with accompanying css.